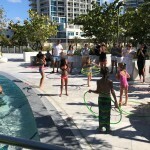 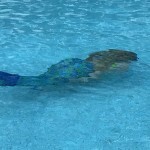 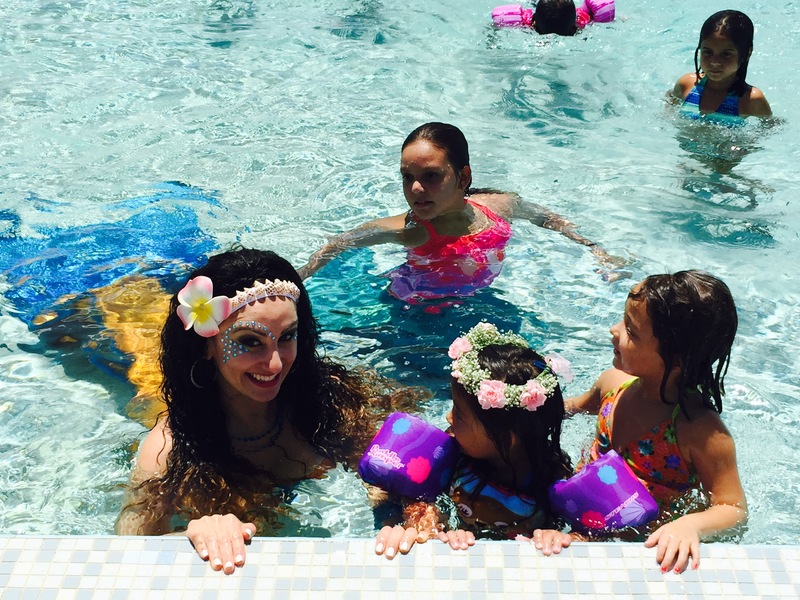 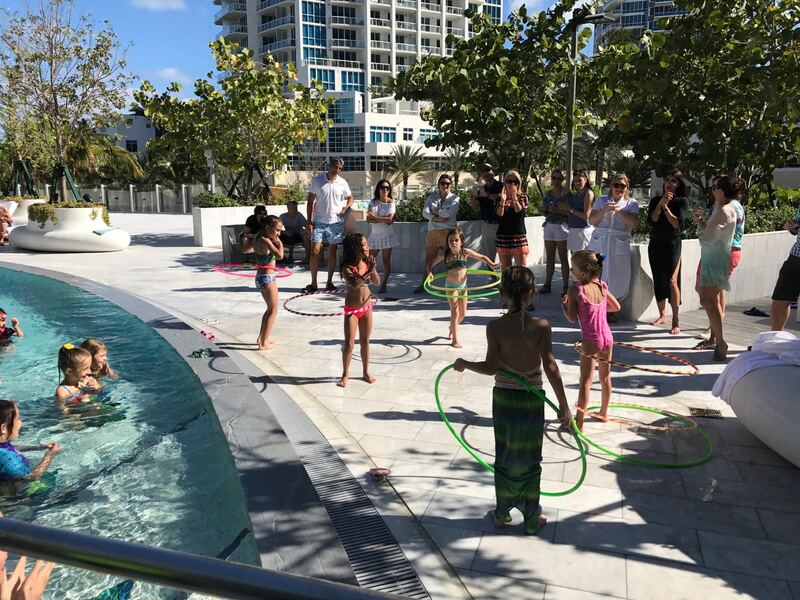 Are you looking for aquatic adventure for poolside events, grand openings, corporate, birthday or kids party, Mermaids by Top 1 has the experience to help you execute and make your event a success. 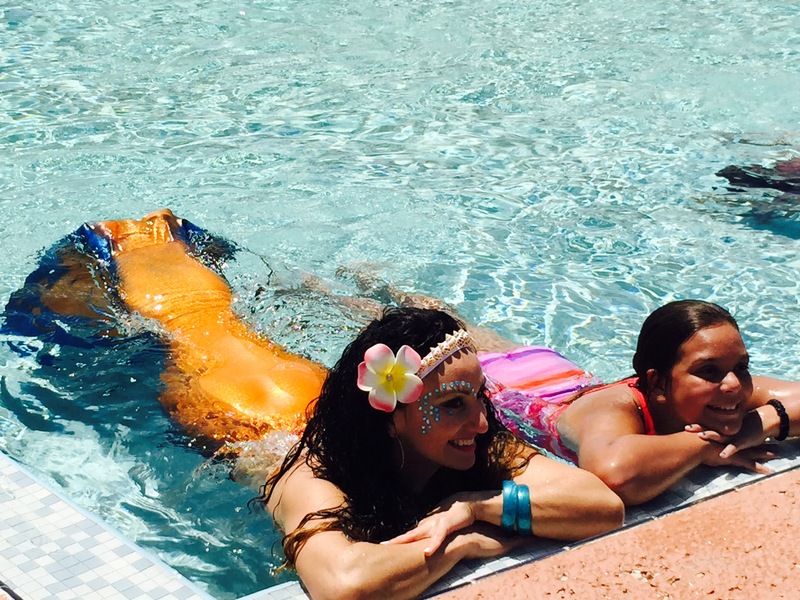 Whether by the pool, or an extravagant Seafood Buffet, our Mermaid Characters will add an unforgettable touch of aquatic fun. 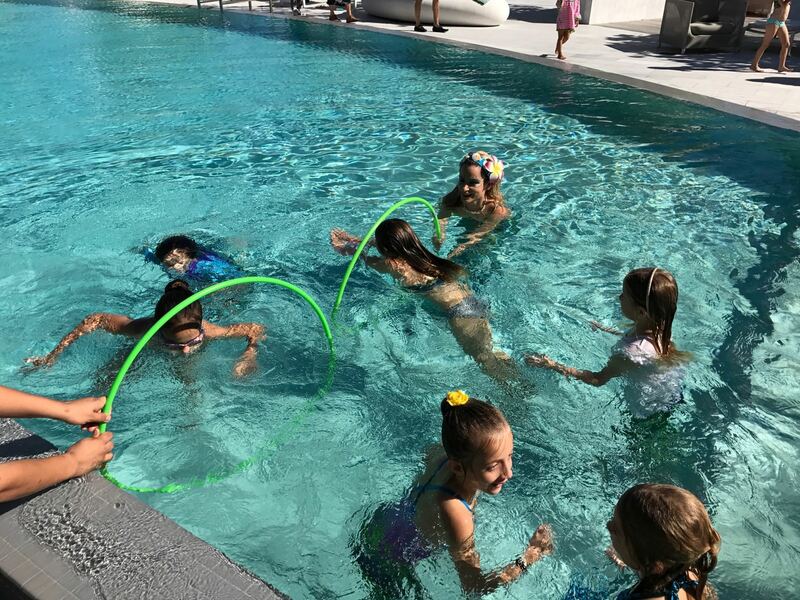 No pool? 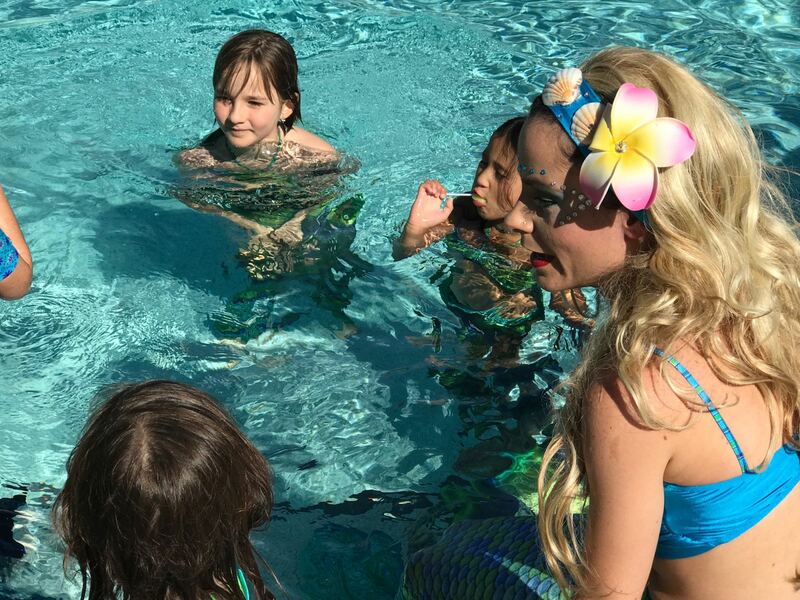 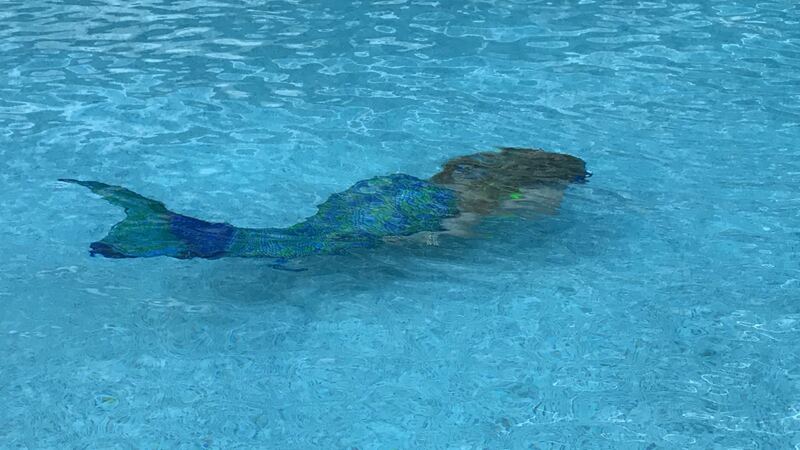 Our mermaids can handle both wet and dry events. 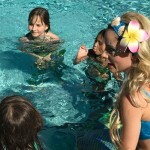 Mermaids go pretty well with balloon artists and face painter for your little princess’ birthday party. 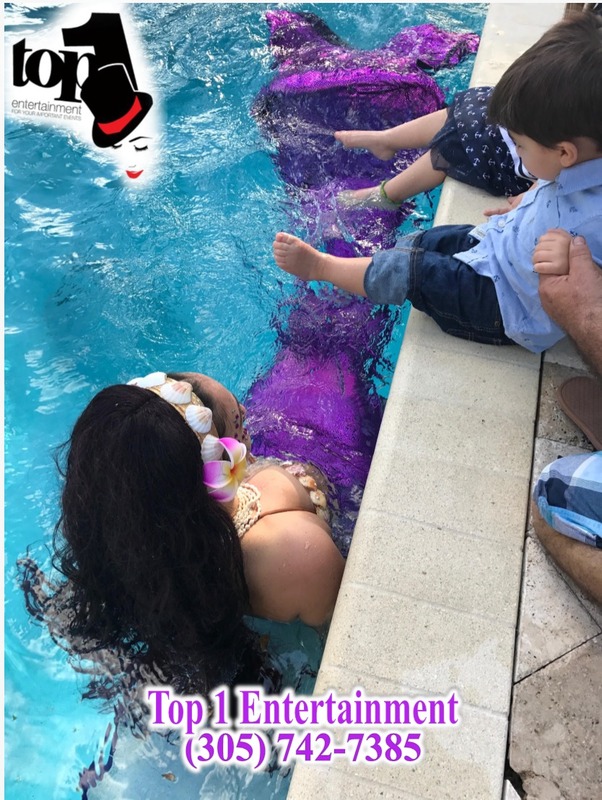 Top 1 Entertainment offers a variety of mermaids from Barbie to Ariel and more throughout South Florida in the cities of Aventura, Bal Harbour , Bay Harbor Islands, Boynton Beach, Biscayne Park, Boca Raton, Coral Gables, Coconut Creek, Cooper City, Coral Springs, Delray Beach, Doral, Fort Lauderdale, Florida Keys, Hallandale, Hillsboro, Hialeah, Islandia, Hypoluxo, Juno Beach, Jupiter, Key Biscayne, Key west, Lake Worth, Margate, Miami Gardens, Miami Shores, Miami Springs, Miramar, North Miami Beach, Oakland Park, Palmetto Bay, Pinecrest Pembroke Pines, Plantation, Pompano Beach, Surfside, Southwest Ranches, South Miami, Sunrise, Sunny Isles, Tamarac, Tequesta, Wellington, West Park, West Palm Beach, Weston, and Wilton Manors. 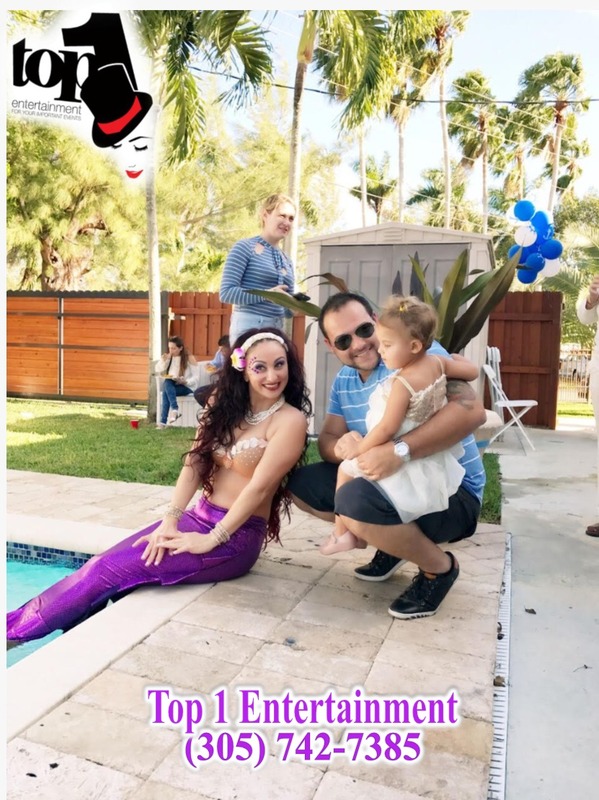 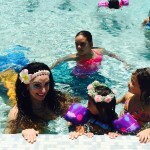 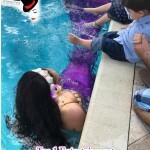 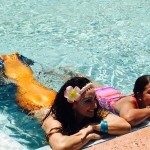 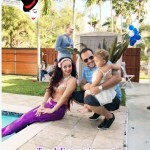 Contact Top 1 Entertainment to hire mermaids in Florida and organize your events according to your specifications by calling 1 (305) 742-7385 or emailing info@top1entertainment.com.